Stunning coastline and sunset views from the ridge of Kohanaiki’s premier location with just over an acre of graded and staked land the parcel is ready to build on and create your island home. The Shores at Kohanaiki Resort is a private club community situated on approximately 450 acres of land on the Kona coast with over a mile and half of shoreline that includes some of Hawaii's best sport fishing grounds and is remarkably different from its predecessors, representing an evolution of the private club experience built around luxury, sustainability and world-class amenities. 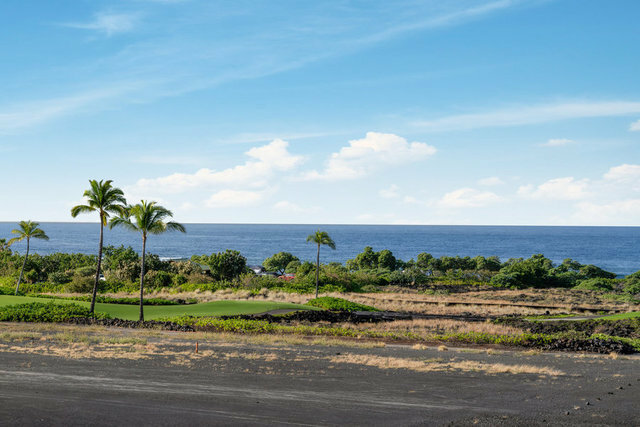 The spectacular championship golf course was designed by Rees Jones and features six oceanfront holes and promises magnificent views of the Pacific Ocean and Kona’s golden coastline. The owner’s clubhouse is over 67,000 square feet of decadence including a theater, bowling alley, world-class dining, exquisite spa, fitness center, multiple swimming pools, and tennis courts. Kohanaiki was built with sustainability as one of its main objectives in order to lessen its impact on the Big Island’s resources and is the only private club of its kind on the Island of Hawaii.